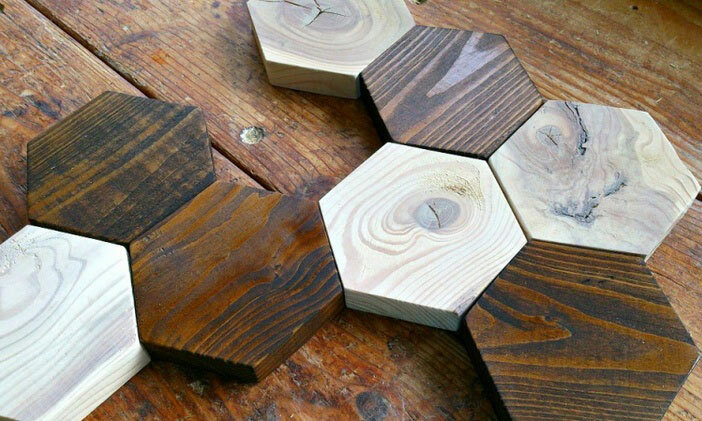 If you are someone who minds not the serious effort and time to do something real artsy for your home, then these magnetic hexagon coasters is a must try. It’s one cool and sweet creation perfect for a wood-themed home interior or the garden and balcony. Accuracy in measurements is a must here. The video below will guide you, so you’ll never get lost along the way. But before anything else, you’ll need to prepare the following: epoxy/CA glue, rare earth magnets, steel ruler, spray lacquer, compass, orbital sander, band saw, table saw, and of course, wood (any would do). The cute thing about this project is that, once you’re done, all magnetic hexagon coasters can be put up together and they will perfectly stick, like some puzzle. You can even create striking patterns by just flipping the coasters if each side is designed and painted with different colors. You can also pull out one coaster out from the group then put it back, and it would still fit nicely and look artsy. Way cool, right?